​Tottenham Hotspur and Arsenal are reportedly interested in signing Inter midfielder Marcelo Brozovic, who's time at the San Siro may soon be coming to an end. 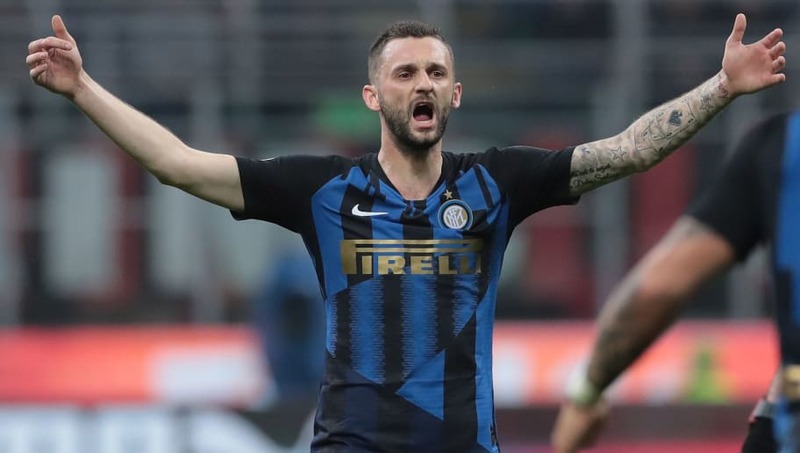 Brozovic, who started for Croatia in the World Cup final last summer, has been a key player for Inter this season, making 25 appearances for Luciano Spalletti's side. But Calciomercato have reported that the Nerazzuri may sacrifice the 26-year-old to rebuild their midfield with the likes of Barcelona's Ivan Rakitic and Cagliari's Nico Barella. The report also states that the two north London clubs are the most likely to sign the impressive holding midfielder, with both teams willing to match Inter's valuation of Brozovic. Croatian site Jutaranji List claimed in August that Tottenham had a £36m bid for Brozovic turned down, with Inter now demanding the club pays an extra £9m to activate the player's release clause. £45m would be a record signing for Spurs, a fitting signing for their first full season at their new £1bn stadium. Arsenal however may struggle to justify spending that sort of money, with the Emirates board being infamously tight with the transfer budget in recent times. He also has 40 Croatia caps to add to his 36 Inter games this season, and his decision on which side of north London to join may be heavily based on which, if either, are playing Champions League football next season.